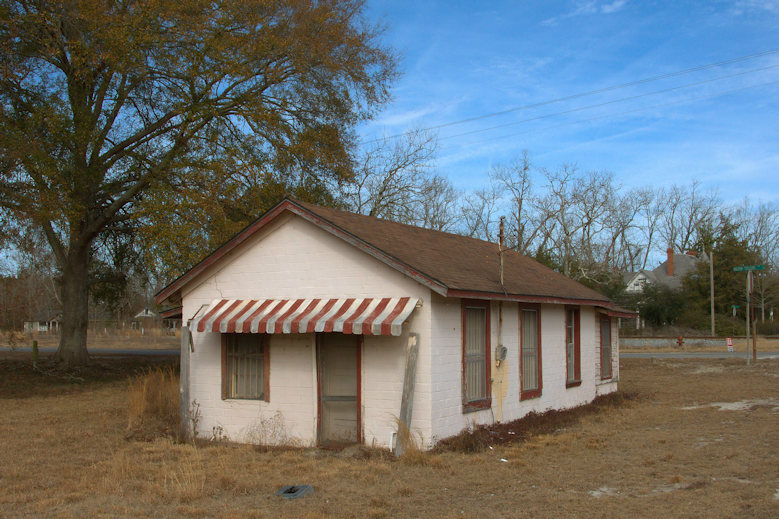 There are several historic outbuildings on the property of the Alexander Hotel. 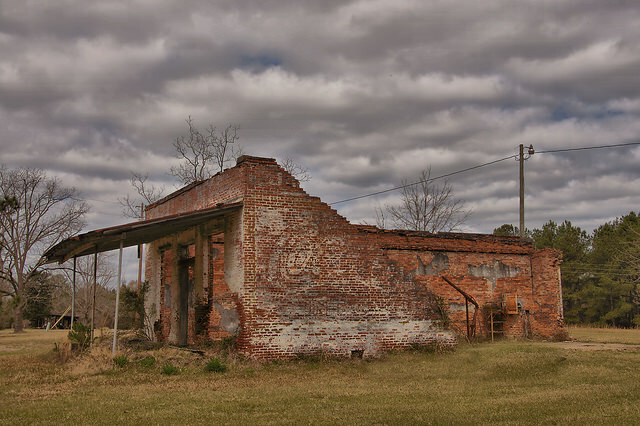 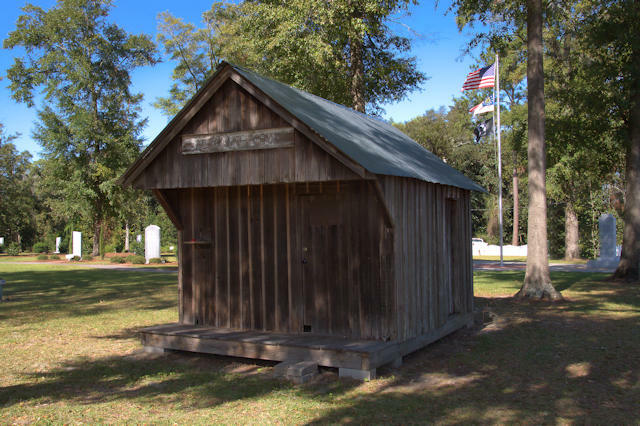 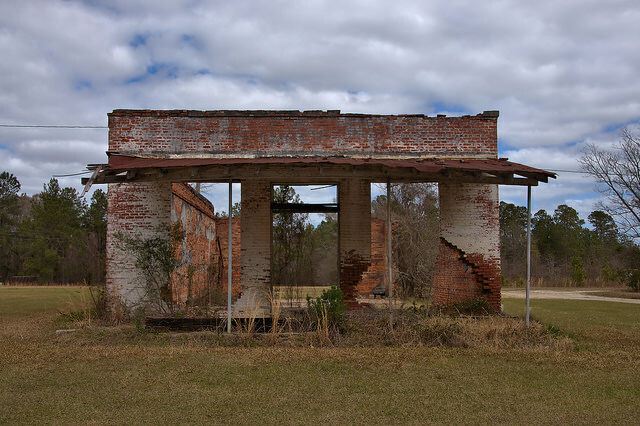 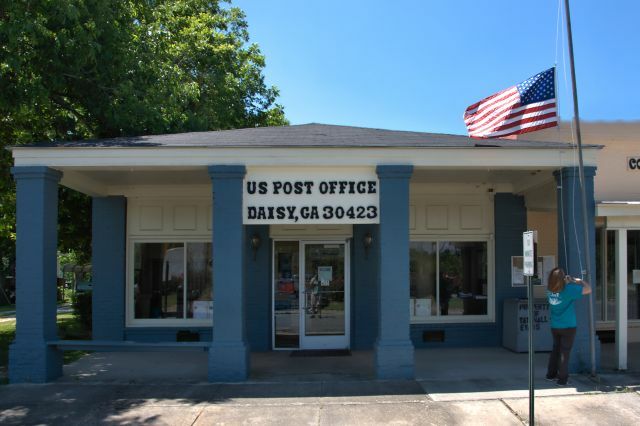 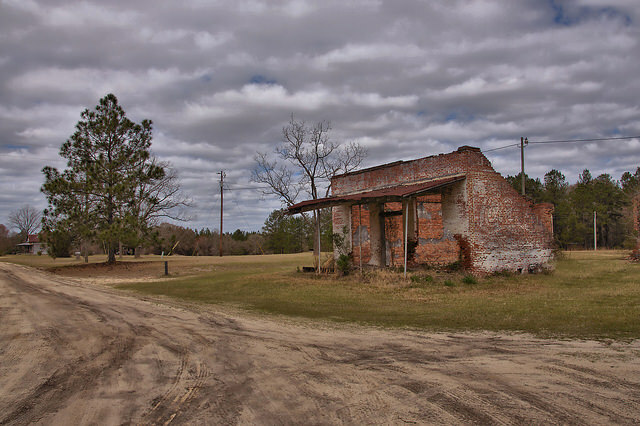 A sign indicates that this is the old post office from the Altamaha community. 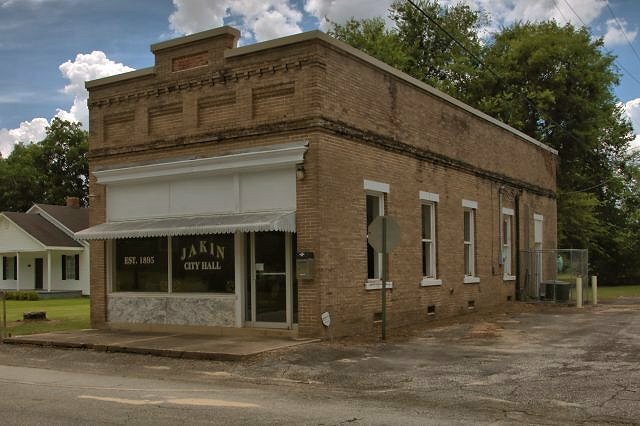 This served as Jakin’s only bank when nearly 2000 people called the area home during the lumber boom of the early 20th century. 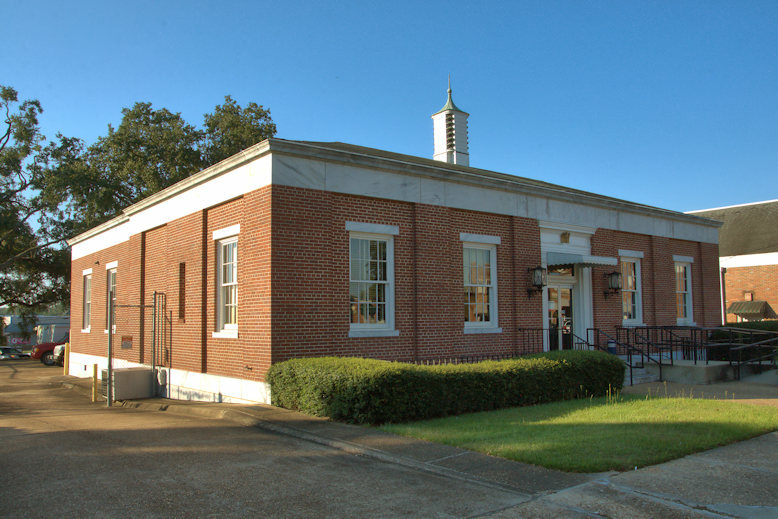 The charter for the bank was granted to Elisha Hilton. 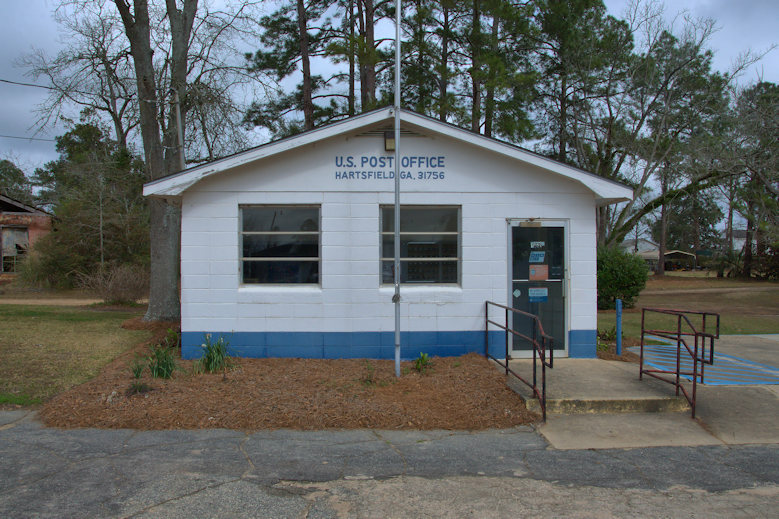 From 1923 to 1988, it served as the post office and today is in use as the city hall.